On Saturday April 13th, 29 children began a new pedal-powered journey at the Boise Bicycle Project. Many of the children were from our amazing refugee community, and several had been in Boise for less than two weeks. It was our first Kid’s BASH of the year and such a great reminder of how lucky we are to be part of the welcoming process for these families. It was also a great reminder of the collective effort it takes to make these bicycle giveaways possible and the continued effort it will take to ensure these bicycles create ongoing opportunities for all of Boise’s children. With that context in mind, we thought we’d dive in a little deeper into what goes into a Kids BASH. The bicycles distributed to these kids have stories of their own, previous owners, previous neighborhoods explored, and previous journeys of connection. Eventually they were outgrown, possibly passed down to another sibling, and eventually they made their way to the Boise Bicycle Project. Most bikes arrive needing a little bit of work, if not a full overhaul, and luckily we have volunteers with all the skills to get them riding as good as new. Half of our distributed kids bicycles are fixed this way. The other half are transported to our women’s Shifting Gears and men’s Operation Kickstand programs with the Idaho Department of Corrections. At these locations, inmates earn a bicycle for future transportation needs by transforming our broken down bicycles into dream bikes for children in need. In 2019 we hope to donate over 1000 bicycles to kids in our community (500 from April to October and 500 at the Holiday Kids Bike Giveaway). Most of these kids will be referred to us through our nonprofit partners, and about half will be New Americans (children arriving as refugees). We know that many of our kids have experienced many forms of trauma and still have obstacles ahead, but when we see the smile on the kids’ and parents’ faces, we get a glimpse of a brighter future connected to new opportunities. For our New American families, we see a huge opportunity for our entire community to benefit from the tremendous value and much needed diversity they bring to the table. 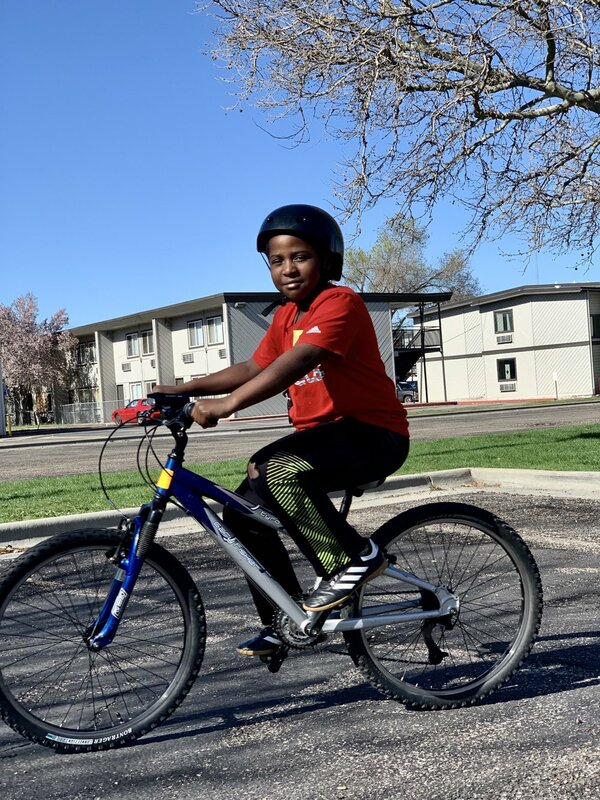 We have experienced this value first hand at the Boise Bicycle Project and feel so fortunate for organizations like the IRC, Jannus, the English Learning Center, and so many others for connecting us to these families. We also rely heavily on partnerships with like-minded organizations to ensure our programs are as impactful as possible. Primary Health ensures every single bicycle comes with a brand new helmet and safety class. MiiR is providing the funding and support to get our partnership with the Idaho Department of Corrections off the ground. A new partnership with St Lukes is making it possible for physicians to prescribe bicycles to low-income children struggling with obesity. Together Treasure Valley helps us provide on-going mobile bike repair in the neighborhoods our families live. Every Kid On a Bike! It will take a widespread community effort to create a brighter future for all of Boise’s children, and we’re officially inviting you to get involved. BBP will be hosting BASHes on the second Saturday of every month until October. Every month, we will be looking for volunteers to help distribute bicycles to the children, to help with transportation, to take photos, and assist with countless other tasks. Leading up to each BASH, we will be looking for help collecting and fixing the bicycles. And we’re still looking for sponsors to help us provide lights and locks for every child. Thanks in advance for considering how you can become part of the collective impact that gets every kid on a bike.